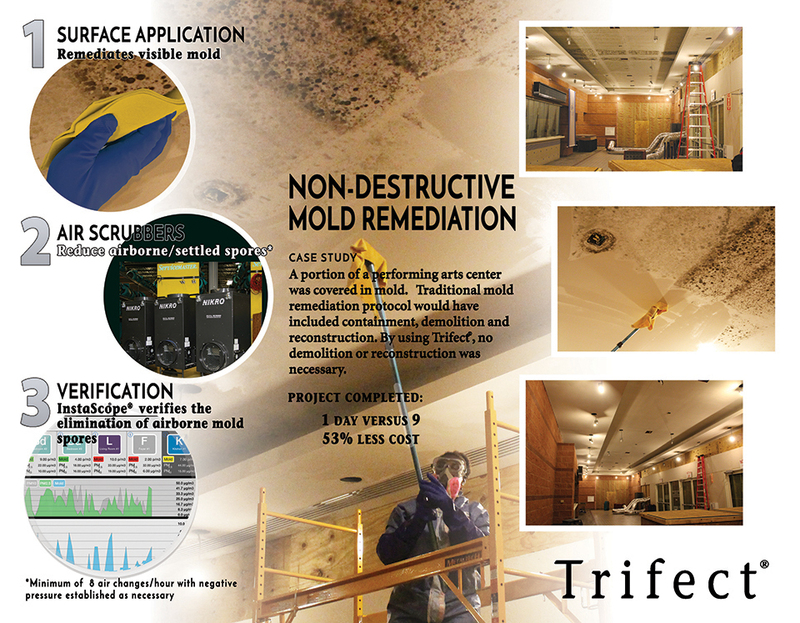 Trifect® is a new system of Mold removal that has revolutionized the way we handle mold. 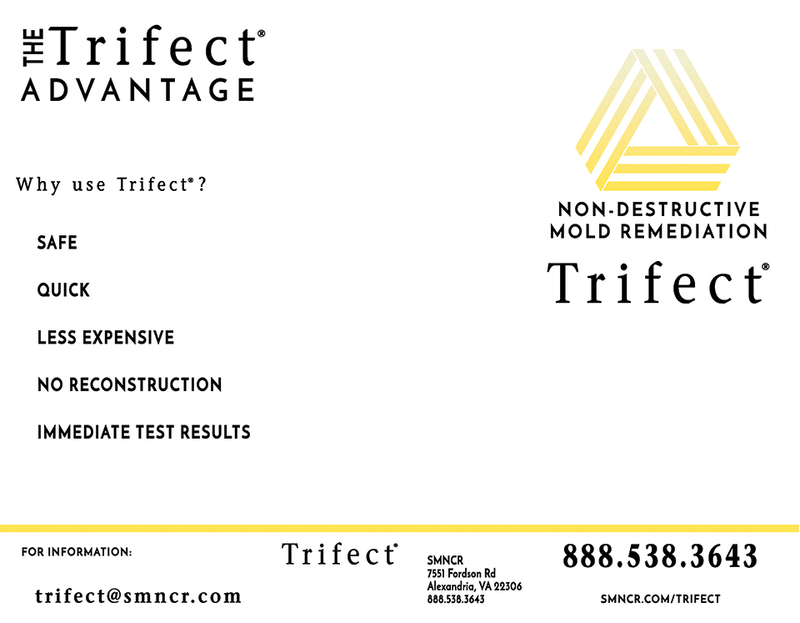 Using proprietary formulas, and new technology, Trifect returns your structure to health quickly and safely. 1. 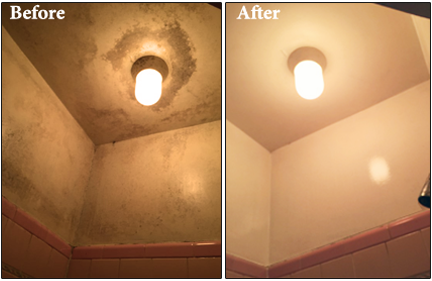 Surface Application: Remediates visible mold with a proprietary topical solution. 2. Air Scrubbers reduce airborne/settled spores. 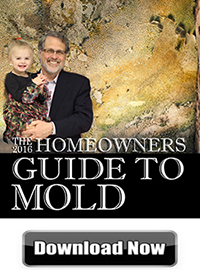 *Minimum of 8 air changes/hour with negative pressure established as necessary.